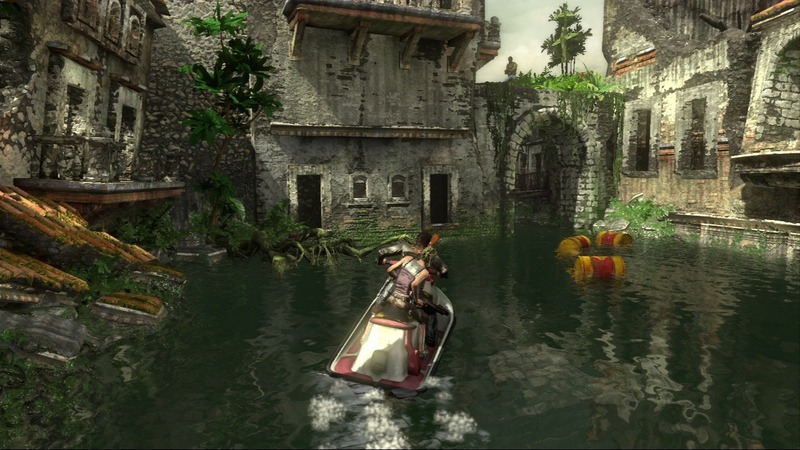 When it was released on the Playstation 3 back in 2007, Uncharted: Drake’s Fortune brought a newfound success for Developer Naughty Dog, who became something of the Playstation brand’s premiere first-party from that point on. Though its sequels are more revered, Uncharted: Drake’s Fortune remains a fun and exhilarating experience even nine years later. Drake’s Fortune marked the debut of the Uncharted series and its now-iconic protagonist Nathan Drake. It tells the story of the treasure of El Dorado, and Drake’s quest to retrieve it, aided by his friend and partner Victor “Sully” Sullivan and journalist Elena Fisher. But they are pursued by rival treasure hunter Gabriel Roman, and his bands of pirates and mercenaries. It’s a really simple plot, one that would feel right at home in an action-adventure film. It is also a very fitting plot, since Uncharted draws heavy inspiration from the likes of Indiana Jones, and even manages to replicate the kind of action scenarios found in Dr. Jones’ adventures for the video game medium. The action is a combination of third-person shooters and platforming, with Nathan Drake able to carry two weapons at a time (a pistol and a larger gun) and use fisticuffs to take out enemies, as well as jumping, climbing and swinging across obstacles to make it through the environments. There are also puzzle elements thrown into the mix, which really add to the game’s Indiana Jones approach in crucial moments. 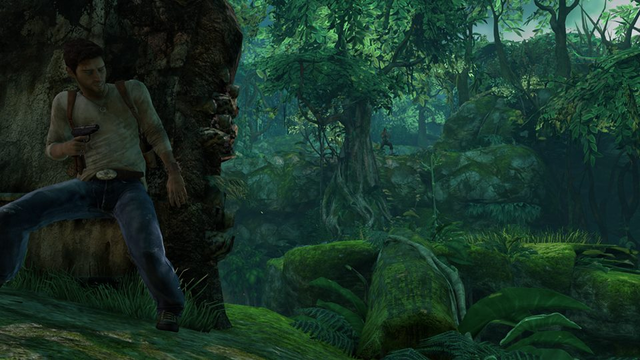 Nathan Drake mostly controls well, with the gameplay being pretty easy to learn. Some of the climbing can become a bit tedious, since the player has to keep jumping from various ledges and conveniently protruding rocks, which can feel a little awkward at times. And while the simplicity of the combat can be fun, many of the game’s later combat sections feel overly long and dragged out to the point of growing repetitious. With that said, the core gameplay is really fun, and the aforementioned puzzles, as well as some exhilarating vehicle sections, help give the experience a good sense of variety. There are also some secret treasures that can be picked up, so completionists have a fun little detour to look forward to. Uncharted also has a great presentation, with terrific visuals and an appropriately cinematic score that would feel right at home in a Summer blockbuster. Uncharted’s cinematic approach to presentation and narrative really make it feel like an Indiana Jones style adventure film found its way into a video game. It also helps that the game’s three main characters are very likable. Nathan Drake may not have the mystique of Indiana Jones, but he has an everyman personality about him that makes him a refreshing character amid the countless waves of angry, vengeance-seeking anti-heroes in video games. Sully regularly steals the show with fun quips and a great sense of humor. And Elena feels like a more capable female sidekick than those that usually accompany action heroes (she still finds herself in need of saving from time to time, but she’s given some good moments to help out on the action, so she doesn’t come off as totally helpless). 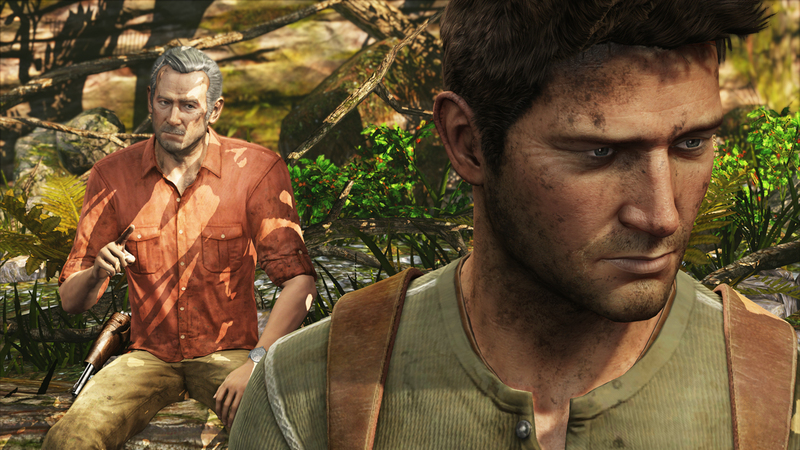 All in all, Uncharted: Drake’s Fortune remains an incredibly fun gaming experience. It has its flaws, and its sequels are obvious improvements, but the simple and fun characters, exciting gameplay, fantastic presentation and extravagant action set pieces made it a fitting start for one of Playstation’s most revered franchises. Considering that there’s never been an Indiana Jones game that properly recreated the excitement of the movie series, one could say that Uncharted: Drake’s Fortune was the Indiana Jones game we all dreamed of. I never played the original Uncharted; I jumped on board with the second installment. Judging by your review of the original, however, it looks like the series got off to a good start. Ohhh glad to see you got the Nathan Drake Collection! The Uncharted series is one of my favourite series and while I think that Drake’s Fortune is the weakest of the series, it’s still a great game in my book! I’m really interested to see your opinion on 2 and 3 as 2:Among Thieves is where Naughty Dog found their stride with the Uncharted series and is a personal favourite game of mine 🙂 excellent review as always! I’m nearly done with Uncharted 2, and it is pretty much an improvement over its predecessor in every way. It’s unfortunate that the collection doesn’t include the multiplayer modes, but I guess that’s all the more reason to look forward to Uncharted 4. Oh nice! Any plans on a review for Uncharted 2? Would love to hear your detailed thoughts on that one 🙂 granted, it being an improvement in nearly every way is a fairly accurate perception. I absolutely loved the multiplayer in Uncharted 2, played it religiously in high school so I was slightly peeved that no multiplayer content was brought to the collection. Of course! I review every video game I play these days. I’ll probably get to Uncharted 2 really soon, and hopefully Uncharted 3 soon after. I also recently got BloodBorne, so expect that sometime as well. And I plan on giving Undertale a go. Plus I have some Wii games and Virtual Console titles I need to catch up on. So there’s no shortage of material coming from me. I’m currently replaying this one for like the seventh time. Other than maybe Mario, these Uncharted games are my favorite games to replay. It’s always refreshing to play a linear game in between the endless open world games that come out. And while its sequels are better in every way, Drake’s Fortune is still such a neat game. I remember playing it for the first time well. I can’t believe it’s been nine years. Now I’ve actually completed the original Uncharted, and it reminds me a lot of Donkey Kong Country in that it feels incomplete compared to its sequels. It’s not bad by any stretch, but I think the folks at Naughty Dog were still experimenting at this point. Also the level design, though decent, lacked variety, and I don’t think they worked out the parkour system completely by this point because I died a lot more during those portions than I did in gunfights. All in all, it’s okay, but the series wouldn’t shine until the next installment.